Bozak DMS2500 Tweeter Voice Coil Diaphragm Replacement? I have a set of DMS2500; B-800Bc woofers that are working, and what I believe are Audax soft dome tweeters that are not working. I don't see any broken leads or anything that looks burnt, but they don't work, no continuity, test open. The question is how to make sure they are centered in the gap around the pole piece? Then place the new voice coil diaphragms into the gap, and glue it down to the plastic holder. Last, remove the assembled holder and new voice coil diaphragm, remove the shims. Attach/solder the lead wires to the terminal connectors. Put it all back together. Seems too simple, will this work? BTW this model tweeter does not have the ferrofluid. I have replaced a fair number of foam surrounds on cone drivers, but have never done one of these. The first thread is more related to re-assembly after cleaning ferrofluid out of the gap and adding new fluid. Actually, that AR tweeter poses a bigger problem than mine to center the voice coil in the gap. 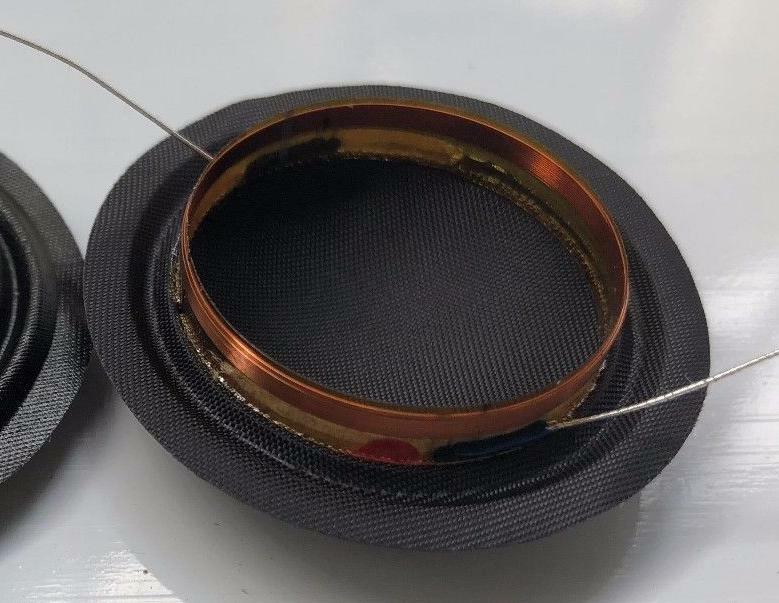 The AR tweeter in the first post has the diaphragm voice coil attached directly to the top plate of the magnet. Where mine has a plastic holder that is self centering by means of little posts on the magnet plate. The only challenge for me is to get the new voice coil centered on the plastic holder. The second post seems more related to getting the top plate centered on the magnet after it had come off. In that one the poster made a cylindrical fixture to the correct diameter from a good tweeter. It doesn't show how he got the voice coil centered in the gap though. It does indicate to me, that I may be on the right track by using shims before gluing the new diaphragm down. 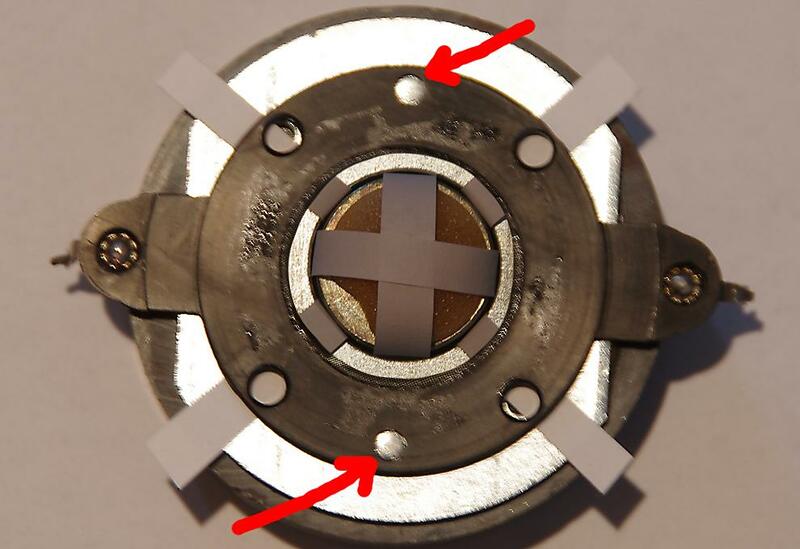 The advantage I have is that once glued to the plastic holder, that holder can be popped off the magnet to remove the shims and make the final lead connections to the terminals. The replacement diaphragms are cheap, so I may just go ahead with my plan and document it.